The Western Ghats have been internationally recognized as a region of immense importance to the efforts of biological conservation. It is a region of high cultural, geological and aesthetic values. The chain of mountains that form the Western Ghats runs parallel to the Indian western coast. The mountains spread about 30 to 50 kilometers inland and traverses the States of Kerala, Tamil Nadu, Karnataka, Goa, Maharashtra and Gujarat. The area covered by the mountains is equivalent to 140,000 square kilometers over a 1600 kilometer stretch. The mountain ranges stretch over all this distance with only a 30 kilometer Palghat Gap interrupting them. The Western Ghats are older than the great Himalayan and thus their geomorphic feature is of immense global importance. This is what precipitated the inscription of the site into the World Heritage Sites in 2012. The mountains are characterized by montane forest ecosystems that influence the Indian monsoon weather patterns. The monsoons then mediate the tropical climate that is widely found in India. The Western Ghats showcase the best of tropical monsoon system on the planet. Western Ghats are one of the 8 hottest hotspots of biological diversity in in the world. It is home to 325 globally endangered species, 229 plant species, 31 mammal species, 43 amphibian species, 15 bird species, 5 reptile species and 1 fish species. Of the 325 globally threatened species, 129 have been classified as vulnerable, 145 as endangered and 51 critically endangered. From the above analogy, you can see why you need to visit the Western Ghats soon. Some of the animals conserved here may not be there in 50 years’ time. Who knows, the pictures you capture of them may be worth millions in future. Besides, wouldn’t you want to sound well-travelled to your friends by telling them of your adventures in Western Ghats? Wouldn’t you want to have pictures of the endangered tiger in its natural habitat hanging on your walls? 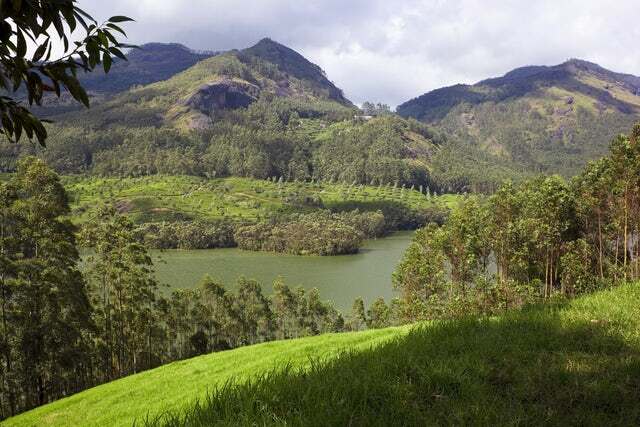 At the discounted rate of less than US$300, you can explore these mountains at your own pace. Make sure that the Western Ghats are your next holiday destination.